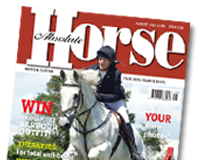 British Showjumping has pleasure in announcing that leading online retailer, EquestrianClearance.com, are continuing their sponsorship of the British Showjumping Senior Newcomers Championship Series in 2013. A popular and highly competitive series, the Championship Final will once again be held at the Horse of the Year Show at Birmingham’s NEC during Wednesday 9th October – Sunday 13th October 2013. The Championship is provisionally timetabled for Wednesday 9th October 2013. Lorraine Meadowcroft at EquestrianClearance.com, said “We are delighted to continue our support of the EquestrianClearance.com Senior Newcomers Series. It is a great series to sponsor and appeals to both grassroots riders and those with up and coming international horses of the future. The launch of the new British Showjumping clothing range, which is available on our website EquestrianClearance.com, has proved a big hit and we are very pleased to now be selling the children’s range which will be followed by a horsewear collection in Spring.